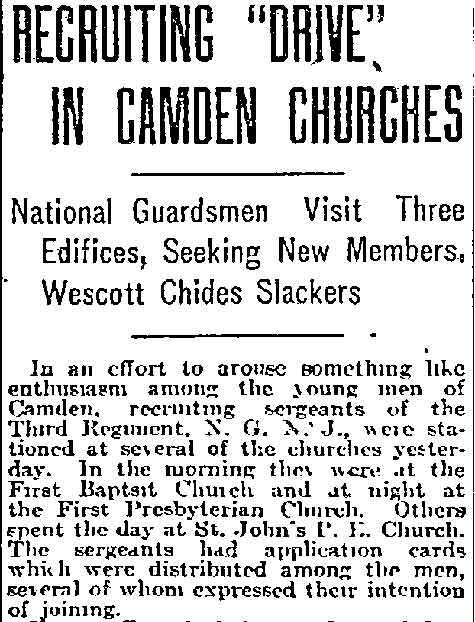 The Presbytery of West Jersey organized a church in Camden, September 27, 1840, which consisted of twelve members. The Rev. 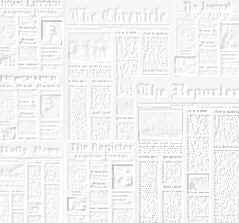 Alexander Heberton, of Salem, N. J., was called to the pastoral charge. Upon his declination of the call, the Rev. William L. McCalla was invited to become the stated supply of the new church for a service of six months. This invitation was accepted by him. An effort was made to erect a house of worship, a lot of ground having been given by Mrs. Alexander Henry, of Philadelphia; and some eight hundred dollars having been subscribed, as the beginning of a building fund. It was found impossible to accomplish the desired object. The enterprise was abandoned, and, after a struggling existence of one year and two months, the church was disbanded, on December 1, 1841. On the 25th of June, 1846, the present organization came into being, by act of the Presbytery of West Jersey. On the 6th of October, of the same year, the congregation presented a call to the Rev. Giles F. Manwaring, of the Presbytery of New York, and on the 13th of April, of the following year, he was installed pastor. William Howell was the first elder. He was installed on the day of the organization, of the church, June 25, 1846. The beginnings of the church were small. 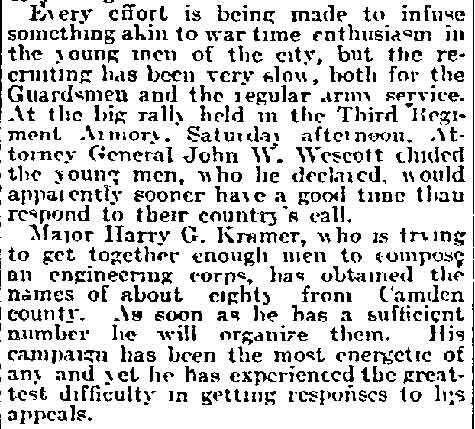 Two Presbyterian families were all of this persuasion known when Mr. Manwaring commenced his work. In a schoolhouse in Third Street, between Market and Plum (now Arch), the congregation, varying in size from eight persons to twenty-one, including children, worshipped for a few weeks. 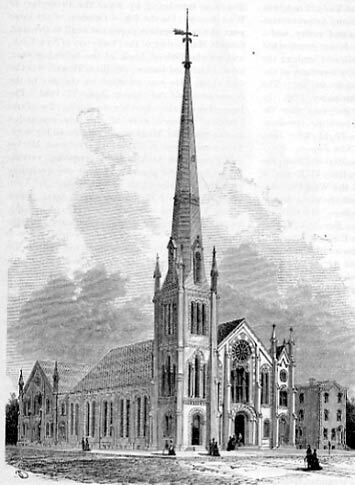 In April of 1846 the City Hall, then on Federal Street, above Fifth, was secured for a place of worship, and this continued to be the sanctuary until the rapidly-growing congregation made application to the Presbytery for an organization, which was granted in June of 1846, as stated above. Immediately after this it was resolved to erect a church building. The lot of ground before donated by Mrs. Alexander Henry, and situated on Fifth Street, between Market and Cooper, wag again secured through her gift. The cornerstone of the building was laid October 28, 1846. The building was completed eighteen months after­ward. Its cost was five thousand dollars. The Presbyterian Churches of Bridgeton, Pittsgrove, Cedarville, Salem, Woodbury, Trenton, Paterson and Burlington assisted in the forming of a building fund. Mr. Manwaring resigned his charge in 1848, leaving a church of fifty-three communicant members. He died a few years after. A board of trustees was organized in 1848. Joseph Pogue was made president and Auley McCalla, secretary and treasurer. Rev. Robinson P. Dunn, D.D., the second pastor, was installed on November 1,1848. He was a scholarly preacher, and a cultivated Christian gentleman. 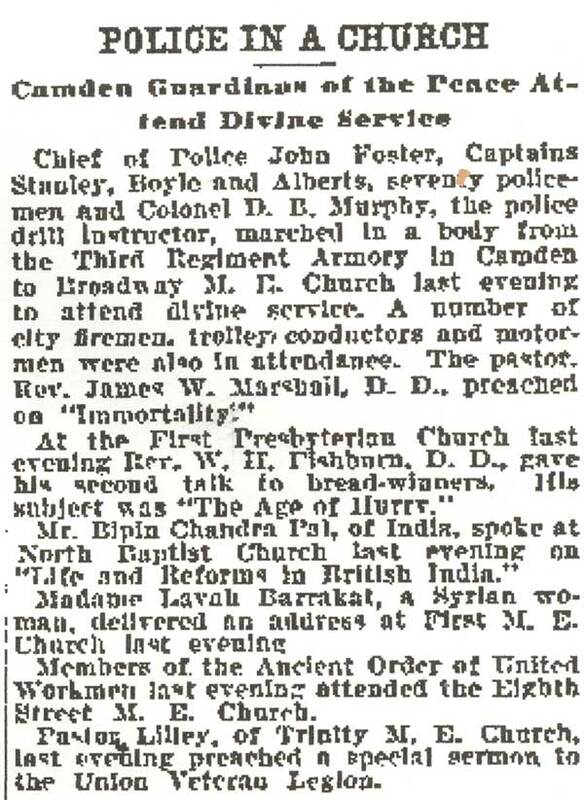 During his ministry of two years and ten months forty persons were added to the member­ship of the church. His resignation was offered and accepted April 24, 1851, when he became professor of belles-lettres in Brown University, Providence, R. I. He has since passed from earth. The Rev. Levi H. Christian was called to the pastoral office in the same year, 1851; he remained with the church for two years and five months. During his ministry forty-five persons united with the church. Rev. Daniel Stewart, D.D., began his labors as pastor of the church on April 1, 1854. Until this time, since the organization of the church, the Board of Home Missions had regularly, each year, supplied financial aid. Now the church became self-sustaining. The church building was enlarged in 1856, at a cost of two thousand seven hundred and fifty dollars. Two years later, the Sabbath school rooms were refurnished, the money necessary for the improvement having been secured through the efforts of the officers and teachers of the Sabbath school. 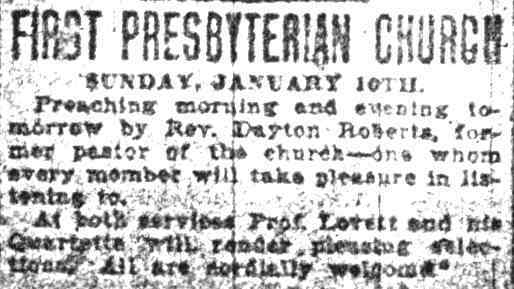 The Second Presbyterian Church was organized by the Presbytery of Burlington on March 1, 1860. 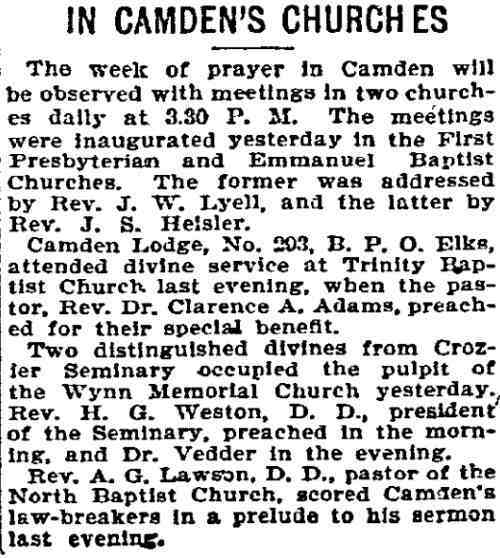 The city of Camden and vicinity, by action of the Synod of New Jersey, a short time before had been transferred from the Presbytery of West Jersey to that of Burlington. Isaac Van Horn, an elder of the First Church, was then dismissed, at his own request, with fourteen other members, to form the new organization. The enterprise had the hearty cooperation of the parent church, and for some years substantial aid was given to assure its success. Dr. Stewart resigned his charge in 1861. He is now living in the city of Minneapolis. He was a most faithful pas­tor and a forcible preacher. Rev. Villeroy D. Reed, D.D., became the pastor of the church in 1861, and for twenty-three years continued his labors. His earnest preaching was followed by most blessed spiritual results through his ministry here. There were constant additions to the membership of the church. Upon one occasion thirty-two persons confessed their faith in the Christ; upon another forty-eight persons entered the church by this method of admission. Through the course of Dr. Reed's ministry three hundred and twenty-eight were received "on profession of faith." The whole number which have been added in this manner and by letters of dismission from other churches, is seven hundred and forty-seven. The Christian character of Dr. Reed and his faithful work will long be cherished. During his ministry the house of worship now occupied by the congregation was erected. Its cornerstone was laid on the 22d of June, 1871. 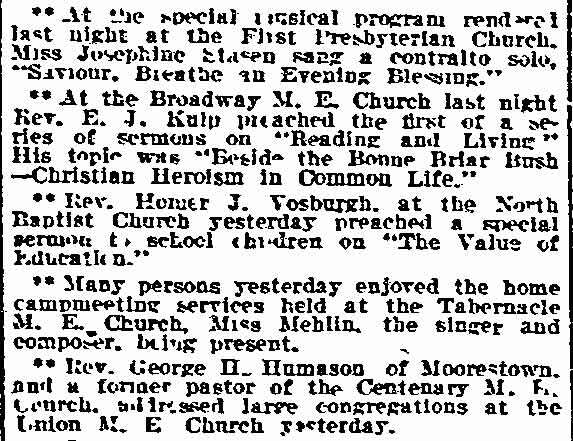 The building was completed and dedicated to the praise of the Triune God on the 1st day of June, 1873. Its entire cost, including the lot of ground on which it stands, the building itself, the furniture of church and chapel, the organ and heating apparatus, was ninety-five thousand dollars. Mr. Stephen D. Button was the architect. The main building is sixty-five feet wide by one hundred and eight feet deep, and the tower is twenty feet square at the base, and, including the spire, is one hundred and ninety-six feet high. The church is built of three shades of stone, which are Connecticut brownstone, West Chester greenstone and Ohio bluestone, presenting an attractive ap­pearance. The chapel, connected with the main building, and built of the same material, is two stories high and forty-one feet front by eighty-one feet deep. The style of architecture is Roman and Gothic. The seating capacity of the church is twelve hundred. The following-named gentlemen composed the building committee: Albert W. Markley (chairman), John F. Starr, Peter L. Voorhees, Charles Stockham, J.L.K. Campbell, John Morgan, Charles A. Sparks. The committee on subscriptions was made up of the following-named gentlemen : Joseph D. Reinboth (chairman), Win. Fewsmith (secretary), Gerard R. Vogels, Wm. Curtiss, J.L.R. Campbell, James H. Stevens, Thomas Fitzgerald, Christopher A. Bergen, Randal E. Morgan and Isaac Hackett. The panic in the money market of 1873 was felt in the financial operations of the congregation. The result was a debt of forty-five thousand five hundred dollars. The interest on this indebtedness was promptly paid each year when due, and year after year the obligation was reduced in amount. But it was not until the beginning of the year 1886 that the mortgage upon the building was canceled. On January 20,1885, the indebtedness was found to be nineteen thousand dollars. It was determined by the congregation to remove this during that year; and on Sabbath morning, December 27, 1885, the debt fund was completed. The gentlemen and ladies who composed the committee, by whose efforts the money was secured, were: Edward F. Nivin (chairman), Randal E. Morgan (trustee), Frederick A. Rex (secretary), Wm. Fewsmith, Gerard R. Vogels, L.T. Derousse, L.H. Kellam, Charles Danenhower, S. T. Ringel, Thomas S. Collings, Frank H. Burdsall, Wm. M. Davison, C. M. Williams, R. P. Stewart, H.O. Hildebrand, G. H. Higbee, Mrs. F.C. Woolman, Miss Annie M. Robeson, Mrs. John F. Starr, Jr., Miss Belle Fitzgerald, Mrs. Frank Williams, Miss Laura Vogels, Mrs. John W. Yeatts, Miss Hettie Porter, Mrs. G. Buckwalter, Mrs. H.C. Felton and Mrs. M. Hoffman. The Rev. Marcus A. Brownson was installed pastor of the church November 13, 1884, and con­tinues in the pastoral office. 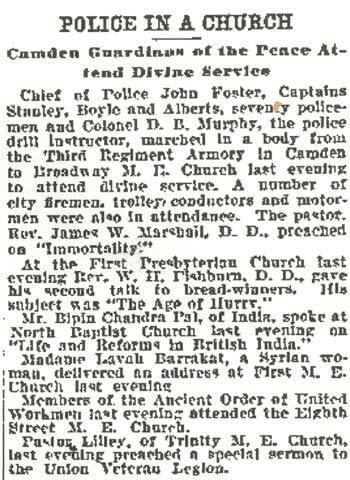 The other officers are (1886) as follows : Elders, John S. Chambers (clerk of session), Wm. Fewsmith, Carlton M. Williams, William B. Robertson, H.O. Hildebrand, Charles Danenhower, Gerard R. Vogels and Andrew Abels. The following gentlemen have held the office of elder in this church, namely, William Howell, George H. Van Gelder, Isaac Van Horn, James H. Stevens, William Hart, Joseph D. Reinboth, John Aikman, George W.N. Custis, Jacob H. Yocum, John F. Starr, James A. Armstrong, M.D., Asa L. Curtis, Wm. Howard Curtiss and Robert P. Stewart. Deacons, A. T. Dobson, M.D. (treasurer), Wm. J. Searle, Wm. G. Garland, George W. Cole, and Wm. H. Hunterson, Jr.
Trustees, John F. Starr (president), Wm. Fewsmith (treasurer), Edward F. Nivin (secretary), Randal E. Morgan, D. T. Gage and L. T. Derousse. The deaconate has been held also by J.V. Schenck, M.D., B.F. Davis, Thomas Fitzgerald and James A. Armstrong, M.D. The following have been members of the board of trustees, namely: Joseph Pogue, George W. Helmbold, George W. Carpenter, Joseph Casner, William Howell, A. McCalla, Jehu Osler, S. L. Stinson, Thomas McKeen, J.V. Schenck, M.D., L.C. Cake, James Caldwell, John Morgan, Chas. P. Stratton, Peter L. Voorhees, Leander N. Ott, Charles J. Hollis, Isaac Van Horn, E. B. Johnson James H. Stevens, C.P. Vanderveer, A. W. Markley, H. Vanuxem, G.W.N. Custis, S. L. Davis, Wm. Curtiss, John S. Chambers, Ch. A. Bergen, D. Caldwell, John Stockham, Charles Stockham, M. McDonald, J.L.B. Campbell, A.J. String and S.T. Ringel. The communicant membership of the church is five hundred; the congregation numbers eight hundred and fifty. The church and congregation are enjoying great prosperity. The Sabbath school had its beginning in the year 1846. The basement of the building on Fifth Street from the time of its completion was devoted to this purpose. The first organization was very informal. S.D. Wyeth was the superintendent for several years. In January 1855, while S. D. Wyeth was superintendent, the school was organized with a constitution, since which time lull records have been kept. J.D. Higgins was elected superintendent, with William Fewsmith as assistant, and Peter L. Voorhees, secretary and treasurer, at the first election under the constitution, May 1855. Forty-six persons became members of the Sabbath school Association. Of these, Wm. Fewsmith, Peter L. Voorhees, Henry Vanuxem, B.F. Jaggers and Miss Cornelia Ackley are still active in the Sabbath school work. From 1855 till the present time the following-named persons have filled the office of superintendent — J.D. Higgins, 1855; James H. Stevens, 1861; Peter L. Voorhees, 1863; J.D. Reinboth, 1868; James H. Stevens, 1871; Peter L. Voorhees, 1872; J.H.Yocum, 1873; Christopher A. Bergen, 1875; Asa L. Curtis, 1880 ; C.M. Williams, 1883. 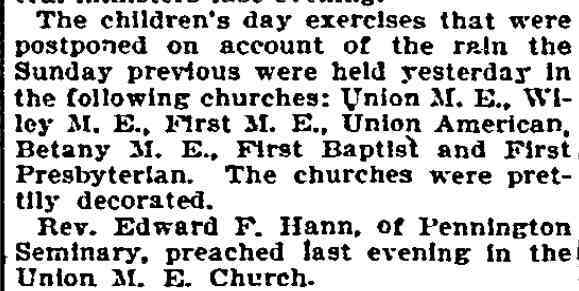 Large additions to the membership of the church have been made from the Sabbath school: In 1860, thirty; in 1883, sixteen; in 1884, twenty-three; in 1885, thirty-three; in 1886, forty-three; and in other years smaller additions. Associate Librarian, W. H. Hunterson, Jr.; As­sistant, A. H. Allen; Organists, Fred. T. Baker and Mrs. H.O. Hildebrand. The Central Mission School was organized May 9, 1886, in No. 840 Federal Street, with sixty scholars and the following officers: Superintendent, Thomas S. Collings; Assistant, William J. Searle; Secretary and Treasurer, R. C. Jones; Librarian, Wm. C. Temple; Organist, Mrs. B. F. Stiles. Funeral services will be conducted for Mrs. Ellen Dougherty Ryan at 2 :30 p. m. tomorrow at her home, 312 Penn Street, with Rev. Dr. George R., Hemingway, former pastor of the First Presbyterian Church officiating. Mrs. Ryan, 79, died in her home Monday after two weeks' illness. She was stricken with a cerebral hemorrhage on May 28. Burial will be in Harleigh Cemetery. Friends may call at the home tonight between 7 and 9 o'clock to pay last respects. Mrs. Ryan, a widow 20 years, was the mother of Frank H. Ryan, managing editor of the Courier-Post Newspapers; Thomas H. Ryan, sports editor of the newspapers; Edward Ryan, George R. Ryan, Mrs. Mary Shivers, Miss Anna W. Ryan and Miss Esther Porter Ryan. There are also four grandchildren and two surviving sisters, Mrs. Sue Davis, of Los Angeles, and Mrs. Jane Somers, of Philadelphia. Harmony once more reigns in the ranks of the First Presbyterian Church, Fifth and Penn Streets, with six supporters of Rev. Augustus Dedge Whitney, Jr., being elected without opposition to the board of trustees last night at the annual congregational meeting of the church. It has been rumored that eight remaining members of the board are those who favored Rev. Whitney's ouster, which the Presbyterian General Assembly recently threw out after affirmative action by the Synod of New Jersey. It is evident, however, that all who opposed Rev. Whitney have forgotten the incident and will abide by the decision of the Assembly as final. Samuel B. Millar, former president; Surrogate George W. Whyte, vice president and Marcus Olsen, treasurer. Five elected, to fill expired terms are Assistant Postmaster Robert J. Payne, James Neilson, Dr. A. P. Isenberg, Joseph G. Broderson and James Peacock. John Wilson was elected to fill the unexpired term left vacant by the death of Clarence R. Fisher. Payne was elected treasurer of the board. Auditors elected are George J. Robinson, William Isenberg and Allan Mickle. The congregation voted to dispense with the reading of the minutes to "avoid unpleasant things of last year" and closed the meeting with the singing of "Blest Be the Tie that. Binds Our Hearts In Christian Love." The fifth anniversary of the pastorate of Rev. Augustus D. Whitney, Jr., of First Presbyterian Church, Fifth and Penn streets, will be observed tonight at a dinner in honor of the pastor and his wife. It will begin at 6.30 o'clock in the church. Rev. Alexander Mackie, pastor of Tully Memorial Church, Sharon Hill, will be toastmaster. Guests will be Rev. William Chalmers Covert, former moderator of the General Assembly; Rev. Thurlow G. Cole, professor of religious education, Crozer Seminary; Rev. William R. Rearick, of North Mutchmore Church, Philadelphia; Rev .. J. Shackleford Dauerty, Moorestown Presbyterian Church; and Rev. Charles Evers, Woodland Avenue Presbyterian Church. Patronesses are: Mrs. Mary Crawford, Miss Lillian Craig, Miss Etta Duncan, Mrs. Frank Fithian, Mrs. F. B. Garrison, Mrs. S. Russell Greene, Mrs. Joshua C. Haines, Miss Hannah Hood, Mrs. Eva H. Harkness, Mrs. Sarah M. Lacy, Mrs. Robert W. Montgomery, Mrs; Louise B. Marchant, Mrs. Elizabeth McPherson, Mrs. Sarah J. Mechling, Mrs. Benjamin G. Mickle, Mrs. Anna C. Preisendanz, Miss Ellen Plant, Mrs. Louisa B. Reeves, Miss Edith Rogers, Miss Kate Reed, Mrs. Edwin L. Seabrook, Mrs. Chester D. VanDuyne, Mrs. Lucy F. VanSciver and Mrs. William Walker.